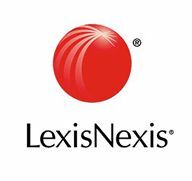 In Q1 2019 Ignite is complementing its existing data enrichment capabilities with an integration with data specialists Lexis Nexis. This exciting new facility will allow subscribing Ignite brokers to access Lexis Nexis’ NCB database. Insurers will also be able to make use of their data enrichment ‘capstones’ in Ignite schemes. The facility will be available from Q2 2019 to participating brokers and insurers. Ignite is pleased to announce a new integration with MyLicence. This facility will allow subscribing motor brokers to input their client’s driving licence number and verify live conviction details. Insurers can offer customers a more accurate premium, and customers avoid mistakes when buying motor insurance. The integration will be completed Q1 2019. Ignite has been appointed by CarFinance 247, the UK’s largest car finance broker, as software provider for its first launch into the private motor insurance market. The product, to be offered to CarFinance 247’s entire client base, will be hosted on Ignite’s software platform, which leverages the value of existing credit and ID checks already performed on the customer. The platform also benefits from being fully integrated with Applied Systems’ rating hub. Specialist broker Barry Grainger has launched a new convicted-driver focused scheme on their Ignite platform. The scheme will be distributed by major motor aggregators such as Confused.com and will grow BG’s already sizeable specialist motor insurance book. Ignite Systems, a market-leading insurance software provider for insurance brokers and MGAs, has been appointed by Access Insurance Services (Access), an independent broker specialising in charities, church and non-profit group risks, as its digital platform provider. Access will replace its own specialist in-house trading system with Ignite’s web-based platform. Ignite provides significant operational and underwriting efficiency improvements. Operating on a single shared code base benefiting from ongoing seamless upgrades Ignite clients are able to launch specialist products, reach new distribution channels and adapt pricing quickly and efficiently, compared to other platforms. Ignite Systems are pleased to announce that Compass Insurance part of the PIB group is now live on Ignite for their commercial division. 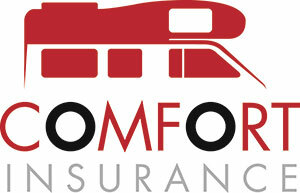 Compass specialise in caravan and caravan park insurance. Compass has been migrated over from their legacy system and is part of an ongoing programme of work with Ignite Systems over the coming months. This expansion of the long-running and successful relationship between Ignite and Marmalade will see Ignite provide its telematics platform for Marmalade’s “New Driver – Family Car” cover. The cover is offered to young drivers who use a parent’s car rather than their own when they are initially learning and licensed to drive. The cover is underwritten by specialist motor insurer Markerstudy. Ignite’s digital platform enables Marmalade to access in-depth journey tracking from a black box and mobile app. The pilot of this project was launched in January and is now being rolled out to Marmalade’s 300+ broker partners across the UK. Ignite has already successfully tracked over half a million journeys. Ignite is delighted to announce the go-live of Isle of Man broker Blackford & Co. on Ignite Broker. Following a long development project in which many system-wide enhancements were introduced the system went live this month with Landlords Insurance products and motor products to quickly follow. Ignite is pleased to announce an integration with Experian to provide data enrichment to Ignite brokers. The service has been piloted through Q1 2017 and will be rolled out to all subscribing brokers through 2017. Ignite will make use of Experian’s Claims Underwriting Exchange (CUE®) and Consumer Delphi risk validation data services for all subscribing Ignite brokers. All searches can be done on a pre- or post-sale basis depending on the broker's enrichment requirements. It is anticipated that over 50% of Ignite's brokers will make use of this service in order to filter out undesirable risks, re-price premiums and decide whether to offer instalment plans. Ignite has been appointed by PIB Group as its new broking systems provider for some personal lines business. Ignite will provide PIB with a digital platform encompassing over 150,000 personal lines policyholders as well as providing future-proofed technology solutions to support PIB’s strategic growth objectives. Ignite has completed an full integration with leading premium finance provider Premium Credit to offer it's services to all clients using Ignite Broker. The integration to the PLaSMA interface was completed in just a few weeks and our thanks goes out to the expert team at PCL for their support and efficiency during the process. In association with long-time client Comfort, Ignite are pleased to announce the imminent launch of new tourer and motorhome products for RAC Insurance. These fully branded products will be available for the 2017 season starting in March. My Policy, a star player in the telematics space, is launching an exciting new product line with Ignite in 2017. More to follow. Major UK insurer Ageas has commenced the build of full cycle EDI facilities with Ignite in order to transact with the large and increasing number of specialist motor and personal lines broker on the Ignite platform. Ignite's panel covers all the major UK specialist insurers along with a number of rising star MGAs. Specialist commercial broker Faversham underwriting has selected Ignite to create them a bespoke wholesale solution for their commercial combined policy. This exciting investment, which will allows the policy book to grow through increased distribution and efficiencies, will come online in Q2 2017. Frank Pickles, the specialist caravan and motorhome broker, has chosen Ignite to re-invigorate their systems. The combination of a strong panel of open market rates for specialist motor insurance, the ability to write bespoke business, and a track record of delivering niche insurance systems on time was at the heart of their decision to choose Ignite. The cat is out the bag, so to speak. A new pet insurance brokerage is coming to market on Ignite. The brand - Scratch & Patch - will be launched in September 2016 and be underwritten by Hiscox, a first foray into the pet market for the major UK insurer. Tansar, an exciting new MGA headed by Mike Fenton and Jon May, is to work with Ignite to release a range of specialist vehicle products to Ignite's brokers. Making full use of Ignite's powerful rating engine and full-cycle EDI capabilities, Tansar aim to write over £5m GWP with Ignite's brokers in the next year. LV=, one of the UK's best known insurers, has commissioned Ignite to build a suite of motor products on the Ignite Brokerage platform. These will include some bespoke schemes, and some open market schemes available to all Ignite brokers with an agency with LV=. Blackmore Borley, the bespoke Lloyds Insurance broker based in Lime Street, London, have chosen Ignite to deliver a new system B2B and B2C system for their growing regulatory insurance book. Their policies cover staff with FCA regulated positions against the cost of legal action. With highly competitive premiums and a unique product this is a line of business that will grow and grow. A19 Insurance will launch a multi-gadget product with Ignite in the new year. The product will cater for both single and multiple gadgets on the same policy and be transacted entirely online. Specialist broker Renovation insurance has launched web-portal facilities for three of it's key clients with Ignite. Hiscox, Markham and Prestige will all have access to bespoke quotation for renovated properties. After spending a year finessing their in-house Ignite system, Renovation are sharing the benefits and growing their customer base in this significant development round. General Insurance broker Advance Insurance Services is to launch a new Japanese and American imports scheme today. With a bespoke scheme built by Ignite, well defined distribution lines, and a dedicated team on the case, this should be a growth area for Advance. Ignite is proud to announce that we are now nearing completion of our integration with Google Compare. This will give our motor brokers access to 100,000s of additional quotes every month. We continue to expand our distribution network for all our brokers wherever possible and this latest integration goes alongside existing partnerships with Compare the Market, GoCompare, Confused, ASDA, AutoTrader, and more. KGM/Canopius will build 7 full cycle EDI specialist vehicle products with Ignite over the coming months. These will be made available to all Ignite brokers with a KGM agency, and quote against their 200,000+ renewal and new business customers. Do you have a cool car? 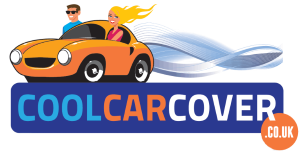 Find out by going to the cool car cover website, where owners with 'cool' cars get great rates from their panel of specialist underwriters. With a focus on social media, customer service, and making insurance cool, this start-up business is one to watch. Ignite is proud to be providing systems to Jeff, Dino and the team at Cool Car. Specialist broker Barry Grainger is to launch a suite of specialist products on price comparison websites GoCompare and Confused.com using Ignite's technology. This will allow them to overcome issues with legacy systems and grow their book. ERS have committed to launching an EDI facility with Ignite to help cater for their scheme brokers in the specialist vehicle space. This is part of ERS's wider desire to streamline their operation and move away from manual business. A new car insurance product for Saudi Arabia and Bahrain will be launched in Q1 2016 using Ignite's brokering system. New multi-currency and multi-lingual modules on the system have made this project viable. More to follow before launch. Comfort Insurance, buoyed by their success on a series of motorhome aggregators with Ignite, has launched an entirely new product line: Touring Caravan. This exciting development will see them sell the product through their own website, via aggregators and through the call centre. Ignite is proud to announce that it is providing systems to eDrive, the next generation of telematics brokerage. Using Ignite's dynamic pricing tools eDrive can offer black box car insurance to a wide market segment through their dedicated call centres. Norton Insurance have acquired a system from Ignite to access schemes from a specialist underwriter across 8 niche product lines. With a large call centre and well established brand Norton Heritage is a major player in the niche insurance space. MGA Kinetic are to use Ignite to distribute their bespoke Specialist Vehilce schemes. Kinetic will partner with brokers who have good distribution channels and 3rd Party validation to sell their specialist vehicle products through Ignite. Ignite will offer call centre quote-and-buy, automated document production, broker-led MTAs, CanX and Renewals, and automated reports. If you are a broker with a strength in the specialist vehicle area get in touch! Fast-growing motorhome broker Comfort Insurance are making a first foray into the aggregator space with an exclusive product built on Ignite. Using Ignite's extensive connections with niche aggregators Comfort can expect in excess of 10,000 additional quotes per month as part of a wider strategy to grow their already impressive motorhome book.